Ryan Murphy has announced Glee is to end after its sixth season and the death of star Cory Monteith, who played Finn Hudson, will play a prominent part in the final run. Glee will end after its sixth season, creator Ryan Murphy has announced. 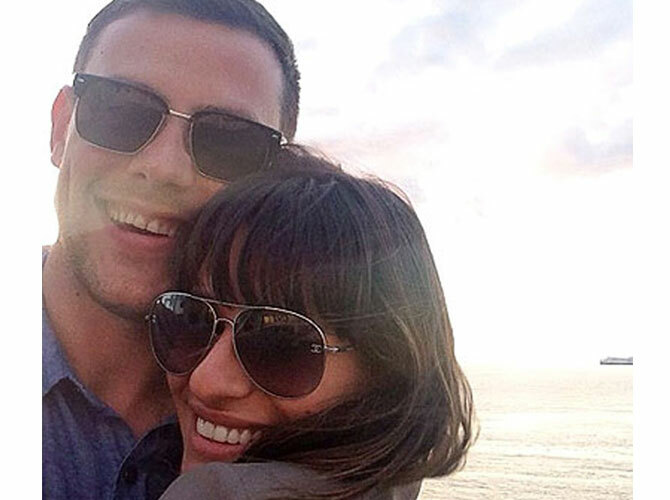 The writer says the next season of the musical TV show will be the last and he has revealed he already penned the final scenes featuring Lea Michele and the late Cory Monteith, a couple in real life, playing onscreen lovers Rachel Berry and Finn Hudson. Speaking at the Paley Center in Los Angeles at an event honoring the FX Network last night (October 16, 2013), Ryan said: "The final year of the show, which will be next year, was designed around Rachel and Cory/Finn's story. "I always knew that, I always knew how it would end. I knew what the last shot was, he was in it. I knew what the last line was, she said it to him." Like everyone associated with Glee, Ryan is still in shock over Cory's death at the age of just 31 and he admits he's yet to come up with a new storyline for the final run. The 47-year-old screenwriter said: "When a tragedy like that happens you sort of have to pause and figure out what you want to do, so we're figuring that out now." A special episode of Glee, titled "The Quarterback," was aired in tribute to Cory and his character on October 10 with 7.4 million viewers tuning in. The episode included a tear-jerking rendition of Bob Dylan's "Make You Feel My Love," performed by Lea.